Always wanted to come here whenever I walked past because of the unpretentious decor. It’s plain, white and black, very Japanese. The name of the restaurant connotes bento sets or you know lah, private parts. I thought that the unpretentious decor and the name of the shop would mean a cheap meal – but it is a middle price-ranged restaurant. Fine, ok, I’m a cheapskate, I admit it. Based on the Pinoy waiter’s recommendation, I ordered Box N Sticks special maki ($8.80), a swordfish sashimi ($9.80). Strangely, for the name of the restaurant, the specialty isn’t bento but a sushi. 14K ordered chawanmushi ($3.50), another swordfish sashimi ($9.80), and yellowtail sashimi ($12.80). We both had refillable iced green tea ($1.50). 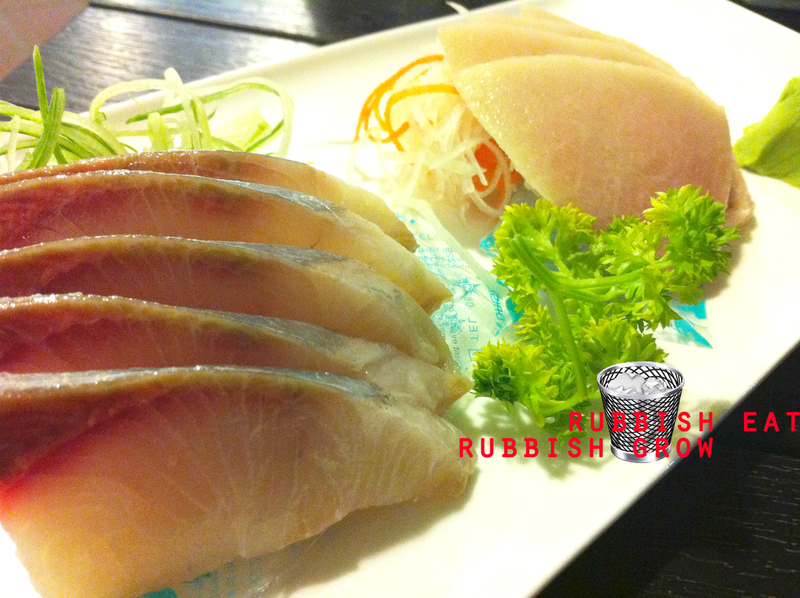 The sashimi was normal, fresher than your conveyer belt sashimi but well, raw food is raw food. The iced green tea could be less diluted but it’s free flow so I shan’t be picky. The specialty of the shop, special maki, is actually rather disappointing. 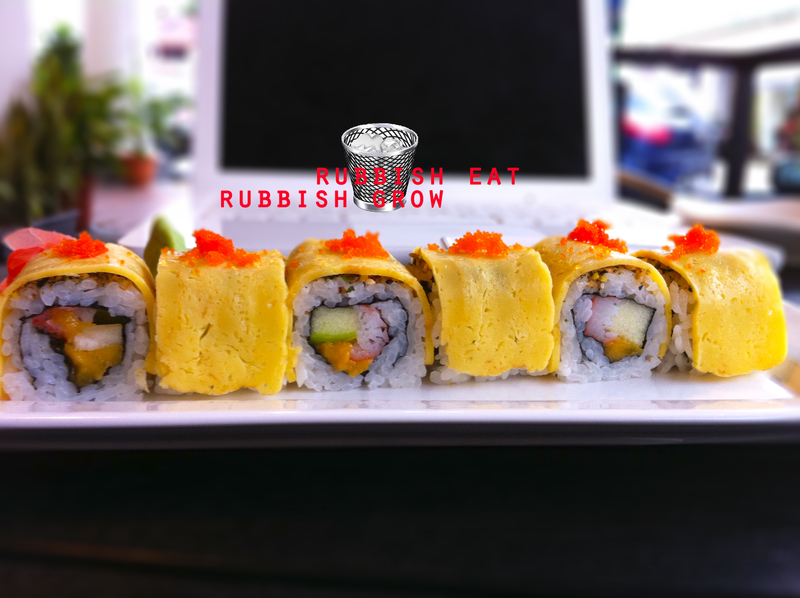 The tamago or egg didn’t go the entire circumference of the sushi, only on the top. The cold rice fell apart as I picked it up. 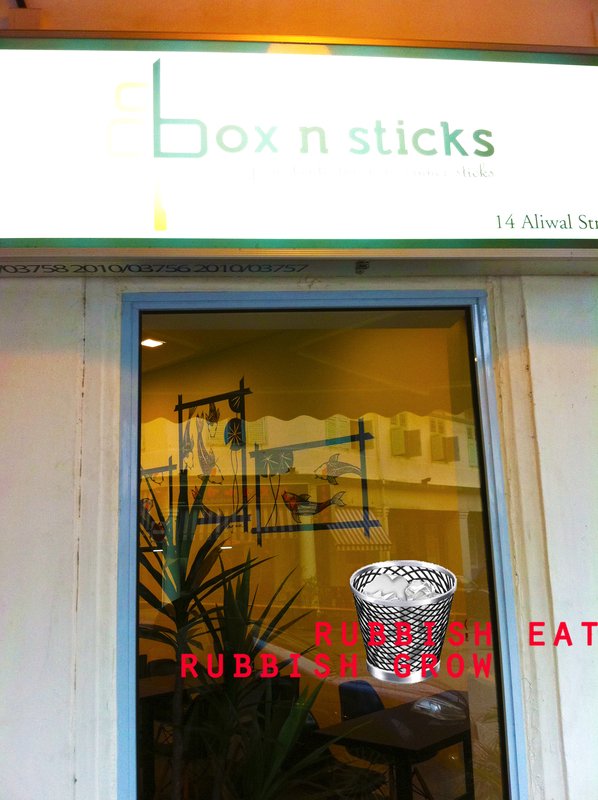 Inside, there were apple, crabstick and a paste (roe? or Sea urchin?) . The taste was sweet and refreshing, from the crunchy green apple, but the combination felt a bit imperfect because the crabstick carb is too much when added to the carb from rice. I need to maintain my hourglass figure ok? And I find it odd to have a sweet sushi, instead of a salty one. It feels like an appetizer or dessert, not a main course. Overall, the Pinoy waiter was helpful, friendly and always smiling. There is no GST, no Svc Charge because the receipt writes, “we are nice people.” Nice zen-like setting, but not impressive. The food was so-so, but still acceptable.